Before you bring your new puppy or new dog home you need to do some research. This is especially true if you have decided to purchase a purebred puppy. There is more to dog care than just feeding and walking a dog. 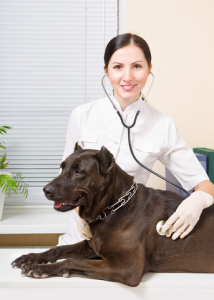 Proper dog care is going to mean regular visits to your vet. They will need shots plus other preventative medications such as heartworm and if you are going to board your dog at some point they will need protection against kennel cough. These regular visits can add up so you need to understand the cost involved in owning a pet. Then there are the unexpected trips to the vet. Your dog may get hit by a car, they may swallow a foreign object or they may end up with some sort of illness that will require treatment. These unexpected visits to the vet can be quite costly. I mentioned earlier that it is important to do research especially if you have decided that you would like to purchase a purebred. Certain purebreds can be prone to certain ailments. Certain large breed dogs can be prone to hip dysplasia, weight problems and heart disease while certain small breed dogs may be prone to eye problems, breathing problems even wobbly kneecaps. Looking after your new dog may require regular visits to a groomer and daily brushings. Also you may need to vacuum every day just to keep up to the hair shed by your dog. Exercise is another factor that is important when it come to dog care. Some dogs need a lot of exercise while some dogs need very little exercise. If you are a highly active person then a dog that needs a lot of exercise may be the dog for you. Often these type of dogs like to do things like agility, fly ball or maybe even herding. Typically these high energy dogs need something to do on a regular basis. 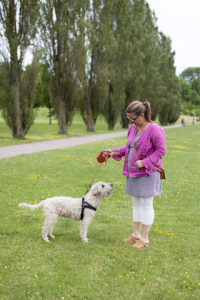 There are many dog clubs that you can join in order to get you and your dog involved in obedience, agility, fly ball and more. One class that you should enroll your dog in is obedience class. Even if you know how to train a puppy or dog, obedience class will help to socialize your puppy or dog with other dogs and other people. As well as obedience class another aspect of dog care is training your dog to go potty outside hopefully in a designated area. This training should start as soon as you bring your new furry friend home. The less accidents in your house the better. Another very important aspect of dog care is establishing yourself as the alpha. You may think this belongs in the training area but dogs need to know their place in the pack. If you do not take the alpha role your dog will be confused and unhappy and may start engaging in destructive behaviour. He will also try and take the alpha role since a pack does need a leader and in his eyes you’re not doing a very good job. So if you are thinking of getting a puppy or a dog make sure you do some research and know what you are getting into. Dogs are wonderful companions that are a lifetime commitment, they are not disposable property. Great points. I just got a new puppy about a year ago and didn’t consider a few of these things. Time to get him to an obedience class. What should I look for when choosing a class? Since your puppy is a bit older now you should look for a class that is geared towards older dogs. They usually have classes that go by the age of the dog starting out with puppy classes. Also look for an obedience class that uses the gentle approach. You want a class that will use treats to get your dog to perform certain things like sitting, laying down and stay. Stay away from an instructor who believes that a dog should be made to submit. Any type of training that you do with your dog should be a fun experience. Good luck. Hi Maureen, I do acknowledge that this post was supposed to be brief and yes it is. I do however think that because of brevity, you have glossed over a number of important things you should have gone into detail. For example the research you talk about, I think you should dedicate one post to just research and tell us what to look out for, the pros and cons involved with each selection etc. But wow, my dog thinks i am doing a poor alpha job hence his distructive behavior? wonderful article, thank you. Your right Emmanuel I did gloss over some important things and I will be getting into that research in future articles. So maybe you will have to come back and check it out. Got my first puppy last spring.But with time I was getting more and more frustrated because my puppy was not house trained and messing up the whole house whenever i went out and left him alone. After reading your article l realize I’m doing everything wrong, my dog is not enough walked, and is totally lacking exercise and obedience just to mention a few facts. Thanks for a very informative post, l have thought very hard and l realize maybe a pet especially a dog is not for me. Everything you mention in your post im not doing with/for my pet.It`s a real eye opener. Do not give up on your dog. If you do not have a crate I suggest that you go and get one. Get one that will be big enough for your dog to turn around in when he is full grown. Before you go out try and take your dog for a walk. Put him in the crate with a couple of good solid chew toys. You do not want to give him anything that he could possible choke on. When you return home put a leash on him and take him right outside to do his business. You need to encourage your dog to go. I usually pick a phrase like go potty and using my highest pitch and most enthusiastic voice encourage him to “Go Potty”. When your dog has gone potty then in the same ridiculous enthusiastic voice praise praise praise! Anytime you feed your dog keep a close eye on them. Usually they will start to sniff if they need to go out. Take them out on a leash and go through the same routine to go potty. Don’t give up on your dog. The dog we have right now we got from the shelter. Someone had adopted her when she was three months old and then returned her when she was six months old. Number one complaint was she was using the house as a toilet. We have always used a crate and the first week we had her she had two accidents. The first one was my fault because I was not used to her signal to go out and the second one was just hilarious. She was playing with our dobie and they were running around like crazy and poop came flying out of her. Maybe some would have been upset but we had a good laugh about it. That has been the only time she messed in the house. I love the site and my sister just got a puppy and it is not trained well at all. I like the pictures and the blend of writing is just right. I wish I could have seen a video with some training in action. Seeing is believing for some people and it could cause an even stronger conviction from you audience if they could see the training. I love the site and hope you nothing but the best. Thanks Chris I have been thinking of doing some video but it is a whole new experience for me. Tell your sister to be patient and consistent. Sometimes it takes a puppy a while to catch on and it can be a test of your patience but in the long run it is so totally worth it. Great information for potential new dog owners! I did a lot of research before I adopted my dog, and actually ended up forcing myself to establish a little emergency pet account in the event something happened. I’m SO glad I had that extra money set aside, because man — they can really ding you for all the tests, shots, preventives, etc. when you take him in, depending what your dog needs. What would you say the average yearly cost is for owning a dog? I haven’t run into any major illnesses yet, but I’ve averaged about $200-$250/year the past three years I’ve had my dog between vet bills, preventives and food. Worth every penny though — he’s a great addition to the family! That’s a great idea establishing an emergency fund. Pet care as you say on average will cost about $250+ a year but if something major happens then it can be quite expensive. Our Dobe was three when we discovered a lump and it turned out to be cancer. He underwent 26 weeks of chemo and survived far beyond their expectations. The cost was between $8000-$10,000. He was the first dog that we had pet insurance on so 80% of that was covered. Would he had undergone chemo without the insurance? You bet. I never thought about pet insurance! Is that pretty expensive? I bet not when you’re looking at 8-10k in costs otherwise, haha. So glad to you’re pup made it and defied the odds, too! There are various levels of pet insurance so depending on what level of coverage you have will determine the cost. No more different than insurance for a person. Nice article, I really enjoyed reading it! I did get two puppies and did not take into consideration all the consequences of it. They got big and cumbersome:) I love them, but they drive me crazy sometimes. They bark a lot and this, of course, bother my neighbors as well. Many people adopt or buy dogs and then abandoned them when they start to have few problems with them. Today if I look back, I would have taken one little dog and that’s all! Sorry, if I am a little rude, but this is what I feel. Hi Daniella I am glad to hear that you have not abandoned your two dogs even though they sometimes drive you crazy. We have always had two dogs up until recently but have never gotten them together. When getting two puppies at a time they tend to focus on each other and it is hard to bond with the dogs. Not impossible just harder. Are your dogs barking when they are left alone? This is usually a sign of boredom. Maybe leave them some bones or treat filled kongs to occupy their time. Good luck with your dogs! Hello here, you provide great information and overview about dog’s role in human’s life. When dog is little, a puppy, we can treat it as toy, but without proper education, this little furry ball can turn to vibrant and energetic companion. If dog does not have proper training, we can gave behavior problems, as you mentioned in your article. Domestic animals are part of family and they must to be treat in a proper way, such as visits to doctor, good nutrition and exercises. It is such a big responsibility to have alive being with us. Sometimes it is advisable to think if we can provide them not just home but be with them when dogs are sick or get older. Thanks for introducing aspects of dog care, all the best, happy writing, Nemira. Thanks for your comments Nemira. Sometimes when people get a puppy they do not really know what is involved. Puppies grow into dogs and dogs are a lifetime commitment. The last couple of days I was just surfing the net and I came across some very disturbing stories about people taking their older dogs to the shelter. These dogs were now in their senior years and had some health issues. Instead of being there for their senior pet they chose to dump them. These dogs were once loved pets and now just dumped like trash. People need to understand that owning a dog or any pet does come with responsibilities. They are not throwaway items. There not like a car where you trade them in for a newer model. They are a lifetime -(their lifetime) commitment. I’ve never had a dog, I’ve always had cats. And while a cat still needs regular vet visits, once they are litter trained, you’re pretty much done. You get to play with them, and pet them. when they deem you worthy, because cats feel so superior. It’s really funny to watch a cat walk off all miffed because it feels you slighted it somehow. But dogs are so different. You have to play with them a lot, they love attention. Plus there are all the dog walks you have to do unless you have a backyard. their temperaments are just so different. Dogs need people. Cats could take them or leave them, unless they want something then they make it known, very loudly. You are so right Kristen cats are quite different than dogs. I haven’t been owned by a cat for quite a few years. My last cat lived for 24 years. Always had cats and dogs together and they always got along. Cats act all indifferent but I think they love attention also but as you said it is on their terms not ours. Yes dogs do require more like the walks but in one way I am grateful for that because now I start my day rain or shine with a walk. It helps me get motivated. Hi Kristen I like your analogy of the cat and people. Having had cats years ago I totally agree with what you are saying about cats. Dogs are definitely a lot more work but they are very enjoyable companions most of the time. Walking them daily is part of a routine that people should be doing with their dog daily whether they have a fenced back yard or not. It is almost like a socialization ritual with all the other animals in the neighborhood. I got my Border Collie “pup” Bella at our local shelter when she was about 18 months. She has done pretty well overall but still wants to jump on people when they visit. Some don’t mind but some do. She is about 3 years old now. Researching the breed characteristics is also important. Bella is a lot more energetic than I thought. We live in an apartment so she needs lonkg walks. Question for you about obedience training. Is it too late to get her involved now? She will sit and shake on command but gets so excited when people come over. Will that help the jumping problem? Hi Scott Border Collies are a very high energy breed of dog and they are also highly intelligent. It is never too late to start on a training program with your dog. Doing training with your dog will help to calm her down a bit. Have you ever thought of taking her for some agility training. She would probably love it and it would certainly drain her energy. As far as the jumping when Bella jumps have the the people turn their backs on her and walk away from her. Good luck! I guess if it was mandatory to read and sign something like your article here, there will be MUCH less homeless and abandoned dogs. All those rescued dogs in pet shops had owners at some point in the past. I am not sure why in the 21 century people don’t get punished for kicking a dog outside. Another point, if an individual wants a larger than an average-sized dog and they don’t have the time to walk it, they at least must have a backyard where the dog may move freely. Large dogs feel terrible in apartments! Thanks for your comment Margarita. Many people who abuse animals just view them as property. When you get tired of it you just throw it away. I truly believe that there should be harsher penalties for those people who are convicted of animal cruelty or at the very least give them the maximum punishment that is available. Although people can go to jail for animal cruelty how often does that happen? Most people pay a fine and are then not allowed to have pets for a certain period of time. I think if you started making people go to jail for animal abuse it would act more as a deterrent than just giving them a fine. Thank you so much for this very informative article on all aspects of dog care. More often than not, people see a cute puppy and take it home with them without any regard for what’s involved with their proper care, particular, when it comes to vet bills. Myself, I wouldn’t even dream of owning a dog without pet insurance. It’s really a matter of life and death. I never want to be put into a position where I’m not able to afford to save my best friends life. Do you think pet insurance is a good idea when considering getting a dog? Thank you for your comments. Many people do not realize what is involved when getting a puppy. The average cost of owning a dog can run a person around $1200 a year. This doesn’t include any emergency vet bills or illnesses. Vet bills can be quite expensive and as you said you do not want to be in a position of not being able to pay for life saving treatment. I absolutely agree with having Pet Insurance. Pet Insurance allowed us to have our doberman undergo chemotherapy for cancer. The cost would have been around $10,000 but the insurance paid for 80% of the cost. The treatment was suppose to give him a good couple of years but fortunately it gave him another 9 years. He died just short of his 12th birthday which is a good age for a dobie.